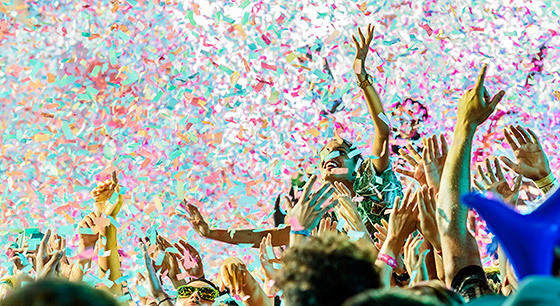 See the sunset in San Antonio, take a picture in Es Vedra, dress in white or dance in elrow – Kehakuma on Saturdays, are some of the things you can’t miss if you visit the White Isle this summer. The union of cutting edge sounds with madness and energy of the Viladecans singermornings, are already a classic in Ibiza. 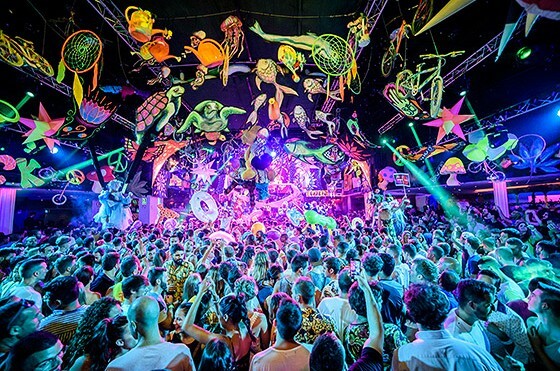 Ker in the Sunset Terrace, the psychedelia in the Main Room with elrow and the commitment for live music by Kehakuma on the Terraza, was the irresistible plan for August at the most awarded club in history. True to their appointment every Saturday, Ker opened the night with Alex Pott in the DJ booth. After him, Ejeca and Ivan Pica starred with respective sessions at a high level. There is no doubt that the mix of DJs emerging and established artists was working quite well in the Sunset Terrace. Meanwhile, elrow had prepared a return to the past with Psychedelic Trip. With the entire Main Room decorated in the style of Woodstock, there was not a single break all night for clubbers on the dance floor. Catz N Dogz next to residents Toni Varga and De la Swing formed a luxury roster. Toni Varga opened the curtain at midnight. At these hours of the club it was full of “roweros” thirsty to party. The characteristic style of Corunna was noted with strong and catchy rhythms that were bound together. After the two and a half hour set by elrow resident, the moment had arrived for the Polish Catz N Dogz. 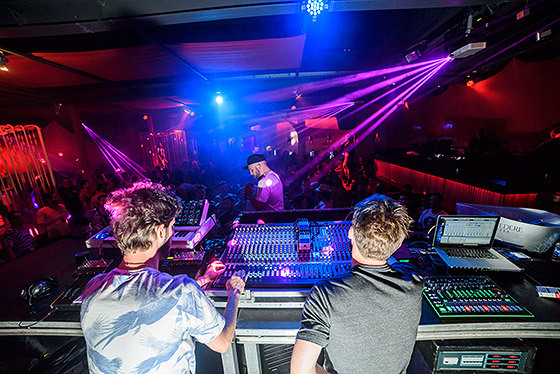 The duo formed by Grzegorz and Wojciech in 2003, decided from the beginning for a Deep House session with touches of Techno. The audience really liked how they took the best sound performance from the club at Playa den Bossa. De la Swing was the last to arrive at the DJ booth of elrow. From his first track we knew that the party was nowhere near finished. Tracks like Meteropolix and Jagerbomb formed part of a set that was enjoyed until the closing. Meanwhile, in the legendary Terraza of the club, we experience a night of live performances in a good ambiance.Fritz Kalkbrenner (live), dOP (live), Edu Imbernon and Javi Bora did not disappoint the audience that packed the dancefloor that was turned into a temple of music. Resident Javi Bora was responsible for opening the night in Kehakuma. The Spaniard from Mallorca has earned the right to his status as a respected DJ in Ibiza. His uncomplexed music with funk essences that distills his sessions was the perfect cocktail to heat the room to await the arrival of the German. In the first of the 5 dates that Fritz Kalkbrenner has confirmed this summer at Space Ibiza, we saw him do everything. From the moment he left no room for doubt, as known tracks such as Facing the sun or Back Home sound much better live. He has amazing ability to combine artistic aspects in a single performance. If we were able to savor the sound concept by Fritz, the arrival of dOP on stage made it clear that the attitude was also important. Clement Zemstov, Damien Vandesande and Jonathan formed a trio that left no one different. Les enfants terribles of the electronic music gala made everyone in the Terraza head over heels with their unmistakable energy. After the boiling point experienced with dOP, came the containment and nuances of Edu Imbernon. This is his year and is taking full advantage of it. 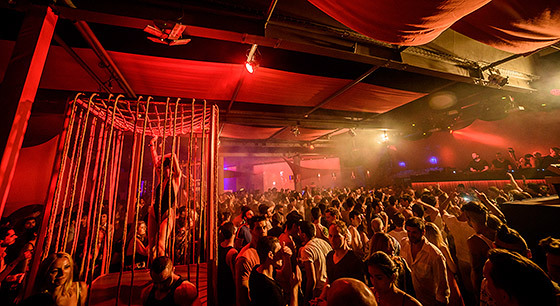 For the third time this summer, he closed the Terraza at Space Ibiza in the best way he know, with good music. There are only six days to live what Space Ibiza has prepared for next Saturday, and it’s guaranteed not to disappoint. Buy your tickets for elrow – Kehkuma and commit to a secure plan.